In the late Middle Kingdom, Senowesert III established his funerary complex at Abydos, and built an important town adjacent to this complex. This town, which was closely associated with Senowesert III''s funerary complex, was called WAH-swt. Mayors of WAH-swt were responsible for the administration of the funerary complex of Senowesert III in addition to their town. They have additionally overseen the estates located in the vicinity of the complex and the town of WAH-swt. As such, this paper aims at spotting lights on the mayors of the town of WAH-swt, their titles, and their role in the late Middle Kingdom in view of the town’s history in addition to some seals impressions that have been discovered in its site. - C.Hayes, Papyrus of The Late Middle Kingdom in Brooklyn Museum, (New York, 1955). -D.Franke," the Career of Khnumhotep,III of Beni Hasan and the so-called the Decline of the Nomarchs",in: Middle Kingdom Studies, edited by S.Quirke, (Leiden,1991),pp.51-67. -D.Jones , D., An Index of Ancient Egyptian Titles Epithets and Phrases of The Old Kingdom, Vol. I I , (Oxford,2000). -D.Stevanovic,The Holders of Regular Military Titles in the Period of the Middle Kingdom Dossiers, (London,2006). -Id.,"Smsw-Soldiers of the Middle Kingdom",WZKM 98 (2008),pp.233-248. -F.Gomaa,die Besiedlung Ägyptens während des Mittleren Reiches,Band,1,Oberägypten und das Fayyüm,BTAVO,19,(Wiesbaden,1986). -G.H.Fischer,Egyptian Titles of the Middle Kingdom,A Supplement to W.Ward’s Index,(New York,1997). -G.D. Mumford,"Settlements-Distribution Structure, Architecture Pharaonic ",in:A Companion to Ancient Egypt, edited by A.Lioyd,vol,I,(Singapore,2010),p.341. -G.P.E.Van de Boorn, " wDa-ryt and Justice at the Gate",JNES 44 No,1(1985),pp.1-25. -G.T.Martin, Egyptian Administrative and Private Name Seals,(Oxford,1971). -H.Gauthier,,Dictionnaire des Noms Géographiques,conténus dans les Textes Hiéroglyphiques,(Le Caire,1825). -H.Willems,Dayr Albarsha,the Rock Tombs of Djehutinakht and Iha,(Leuven,2007). -Id.,"Nomarchs and Local Potentates: the Provincial Administration", in: Ancient Egyptian Administration, edited by M.Garacia, (Leiden,2013),p.381. -J.J.Shirley,"Crisis and Restructuring of the State from the Second Intermediate Period to the advent of the Ramesses",in: Ancient Egyptian Administration, edited by M.Garacia, (Leiden,2013),pp.521-606. -J.Wegner,,"Excavations at The Town of Enduring-are-the-places-of-Khakaure-maa-kheru-in-Abydoss,Apreliminary Report in the 1994 and 19997 Seasons ",JARCE 35(1998),pp.1-44. - Id.," Institutions and Officials at south Abydos:An Overview of the Sigllographic Evidence", CRIPEL22(,2001),pp.77-106. -J.Wegner,"The Town of Wah-Sut at south Abydos:1999 Excavations ",MDAIK 57(2001),p.281-309. - Id.,"Social and Historical implications of Sealings of the King’s Daughter Reniseneb and other Women at Wah-sut",in:Scarabs of the Second Millenium B.C,Egypt ,Nubia, Crete,and the Levant,edited by M.Bitak,E.Czerny, (Viena,2004),pp.222-241. - Id., the Mortuary Temple of Senwosret III at Abydos,(Newhaven and Philadelphia,2007). - Id., "External connections of the community of Wah-sut during the Late Middle Kingdom", CASAE 40(2010),pp.437-458. -N.Picardo,"Hybrid households Institutional Affiliations and household identity in the Town of Wah-sut(south of Abydos)",in:Complex Societies,Archaeological andTextual approaches,edited by Mϋller,M.,(Chicago,2013),pp.243-257. -N. Strudwick,the Administration of Egypt in the Oldkingdom,(England,1985). -P.Montet, Géographie de l’ Égypte Ancienne, vol. II, Paris, 1961. -R.D.Delia , A Study of the reign of Senwosret,III,(Columbia,1980). -R.O.Faulkner ," Egyptian Military Organization", JEA39 (1953),pp.32-47. -S.Justl,"Spicial delivery to Wah-sut An Eighteenth Dynasty Ostracon ’s inventory of Precious Materials",JARCE 52(2016),PP.255-68. -S.Quirk,Administration of Egypt in the late Middle Kingdom,(London, 1990). 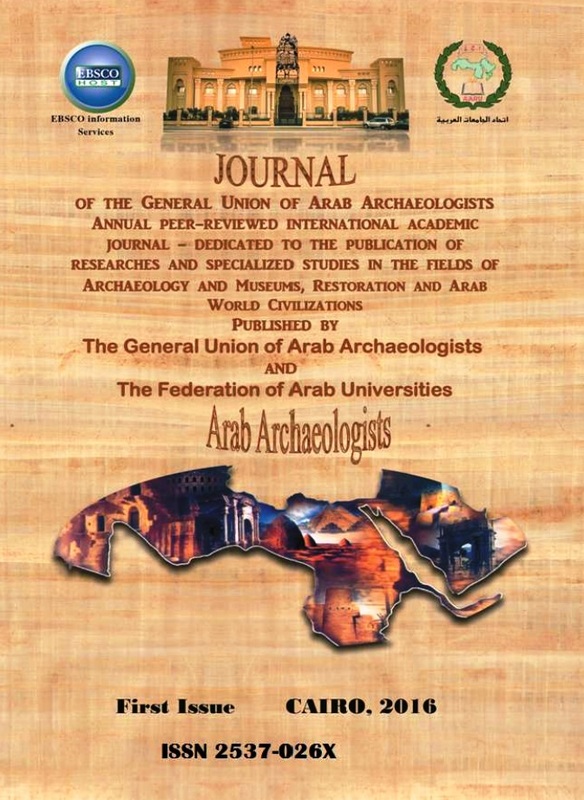 -Id.,Titles and Bureaux of Egypt 1850-1700, (London,2004). -S.Sauneron," le Chanclier du Dieu dans son double role d’Embaaumeur et Prẻtre d’ Abydos",BIFAO 51(1952),pp.137-171. -W.Grajetzki, the Middle Kingdom of Ancient Egypt,History, Archaeology and Society,(London,2006). -Id.,"Setting A State Anew: central Administration from the end of The Old kingdom to the end of the Middle Kingdom:, in: Ancient Egyptian Administration, edited by M.Garcia.,(Leiden,2013),p.215.258. -W.Helck, Zur Verwaltung des Mittleren und Neun Reichs,(Köln, 1958). -W.Ward, Index of Egyptian Administrative and Religious Titles of the Middle Kingdom,(Beirut,1982).